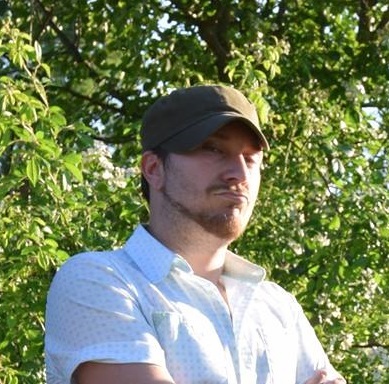 Jake ( Jacob Painter) has been the lead singer for 4 Miles Gone since 2012. He plays a variety of instruments including: guitar, banjo, mandolin, and the harmonica. Aside from working as a medic at the Lincoln County Ambulance Service, Jake’s passion is songwriting. With Jake’s high energy on stage, and the energy of the rest of the boys in the band, you’ll get a show and a sound that you are not soon to forget! Jake has been around music ever since he was able to talk. He has won numerous talent shows and songwriting contests in and around the surrounding areas. Jake’s musical influences are number 1! Elvis Presley…. Keith Urban, Jason Aldean, Eric Church, Dallas Davidson, Steven Tyler, and his dad Curtis Painter who raised Jake up in Gospel music. Jake has opened for big acts such as Randy Houser and Keith Anderson and has performed for the Senators and the Governor of the State of Tennessee. Jake has also performed his original music at the legendary Blue Bird Cafe in Nashville where he has met numerous songwriters and performers. Jake always says “It’s good to start at the bottom and work your way to the top, cause when u get to the top you know how to stay there”…. ole Jake gotta love him. Travis (PUMA) Ashley is an original member of 4MG. Picking up the drums at age 16, Travis has continued to teach himself a style that only 1 man can play with, and thats PUMA himself! 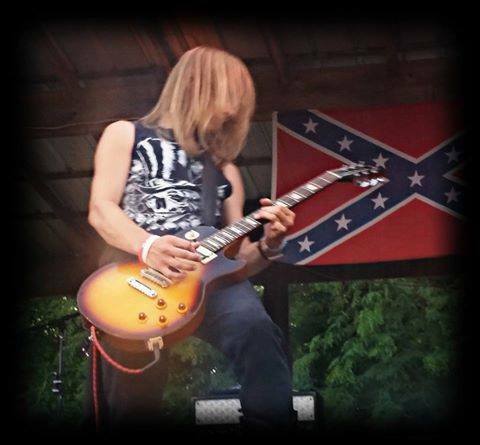 With musical influences from bands such as “Disturbed” and “Rage Against the Machine” , Travis is not your typical Country drummer. “I do get a little out of control sometimes, but don’t we all? ?” say’s the PUMA. But with other musical influences like Kenny Wayne Shepard, Jimmi Hendrix and Stevie Ray Vaughan, all the way to the duo of Jason Aldean and Rich Redmond, Travis has figured out how to put it all together. Travis has also shown his ability to write. 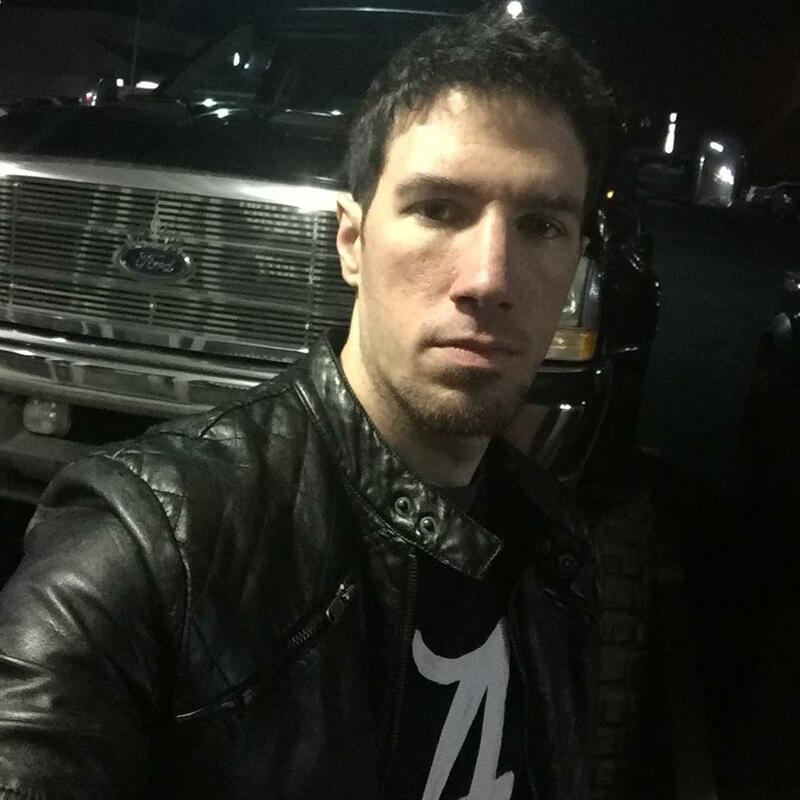 Co-writing the band’s upcoming original song “Sideways on a Dirt Road” and throwing some pop in the country with a rap in the bands original “Dangerous”, Travis has a little bit of flow that most wouldn’t expect. Travis has played at nearly every bar around the area on more than 1 occasion. 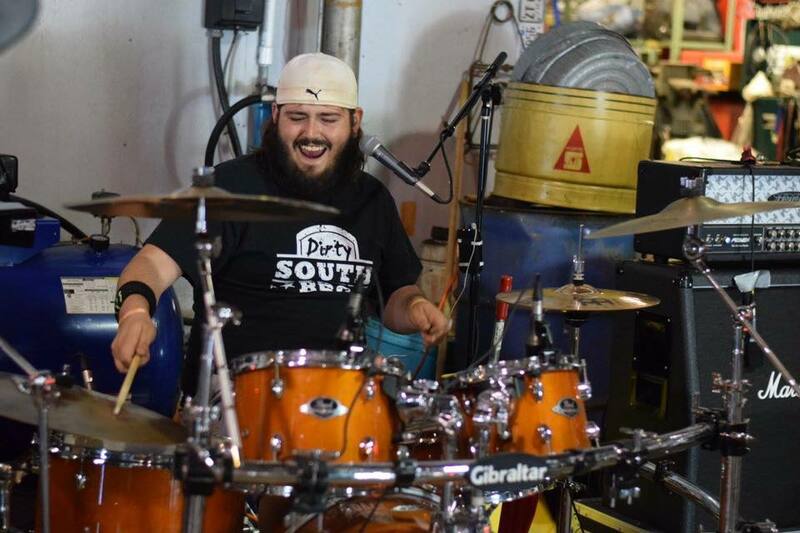 Drawing upon strength and inspiration garnered through the memory of recently lost guitar player, and best friend Chad Swafford, Travis states, “Wherever we hit the stage, I’ll have my sticks in my hands and Chad in my heart. This is all for him.” We are sure that Chad wouldn’t want it any other way! Adam plays lead/rythm guitar. Adam was influenced to play guitar at an early age from listening to tapes in his father’s truck. After many failed attempts, he finally learned how to play guitar in May of 2010. His influences range from Guns ‘N Roses, AeroSmith, Led Zeppellin, The Rolling Stones, Rose Tattoo, and every other guitar player you can think of. In August of 2012 , Adam started going to practice and listening to the guys, but never had the balls to play guitar for them. On November 13th after much encouragement from all the guys in the band and mentor-ship from Chad, the guys asked Adam if he would like to join the band as Chad’s rhythm player, and he happily agreed. Five days later, tragedy struck when Chad Swafford was killed in a tragic car accident. Adam soon figured out that he had some mighty big shoes to fill. With Chad’s influence and the help of the other seasoned veterans of the band, Adam was transformed into 4MG’s guitarist. Adam being the youngest member of the band in 4MG keeps the band in a high octane state of mind. Seth has been playing music for 16 years, with a mother that’s a pro- drummer and father that’s a classic guitarist/singer/songwriter , he was born with music running though his blood. After high school and leaving his first band “Blackwater”, like many, he moved to Nashville to pursue his dream. While going to school, and after graduating college from Nashville State Tech with a bachelors in Music Technology, Seth became a founding member of Funk/Rock band “Inglewood”, east Nashville’s own Rock N Roll bad-boys,. Seth and “Inglewood” amassed a big following in Middle TN… 2 record labels, 2 breakups and 2 reunions later, “Inglewood” was put on hiatus , and Seth began playing in and out of bands across TN. Seth plays music of any and all kinds. Music in general is in the very fabric and DNA of this dynamic player and performer, but he is most at home with Rock n Roll with a taste of Southern flavor. In 2017, Seth became a full-time member of 4 Miles Gone, becoming our latest and greatest bassist and rounding out the bands low end sound and live stage show. “Sethasaurus Rexx’s” influences in playing, songwriting, and performance are broad and vast but to name a few…. Elvis, Little Richard, Chuck Berry, Metallica, Skynyrd, Thin Lizzy, AC/DC, Drive by Truckers, The Gourds, JJ Grey and Mofro , Waylon, Jennings and many many more. Seth’s guitar prowess, positive “spark plug” attitude, and genuine love for what we are doing make him the perfect upgrade to 4 Miles Gone. We are fortunate to have him as a part!